Few things are as rewarding as watching your family tuck into a meal made from ingredients that you’ve grown, from seed, in your own garden. There are hundreds of delicious vegetables, fruit and herbs that you could easily grow on your own. With our top tips, you’ll be plucking succulent strawberries and plump parsnips from the ground in no time. Don’t forget to check out our vegetable and herb calendar and our fruit calendar to work out when to sow and harvest your favourites and get growing! The easiest way to cultivate healthy seedlings is on your windowsill using a propagator. You’ll have absolute control over temperature and humidity to create the perfect conditions for your seeds to start germinating. 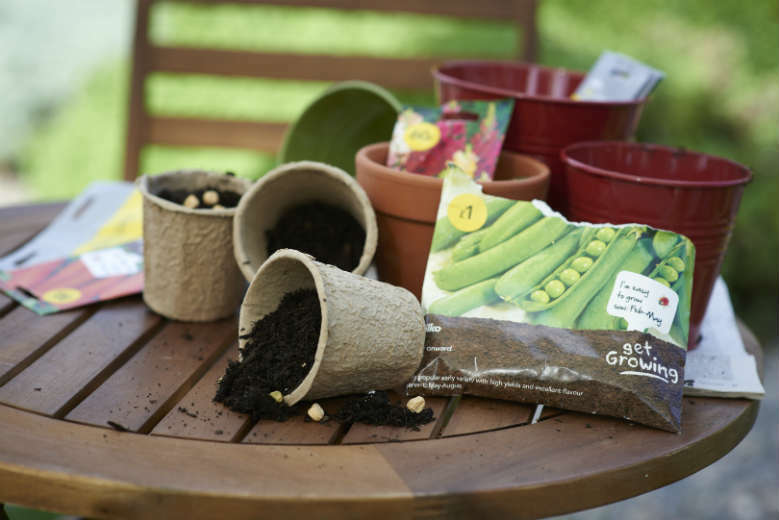 Fibre plant pots are a great choice when looking for hassle-free trays for your seeds. Not only do they have good drainage, but you can plant them out directly into the soil without having to disturb the roots. 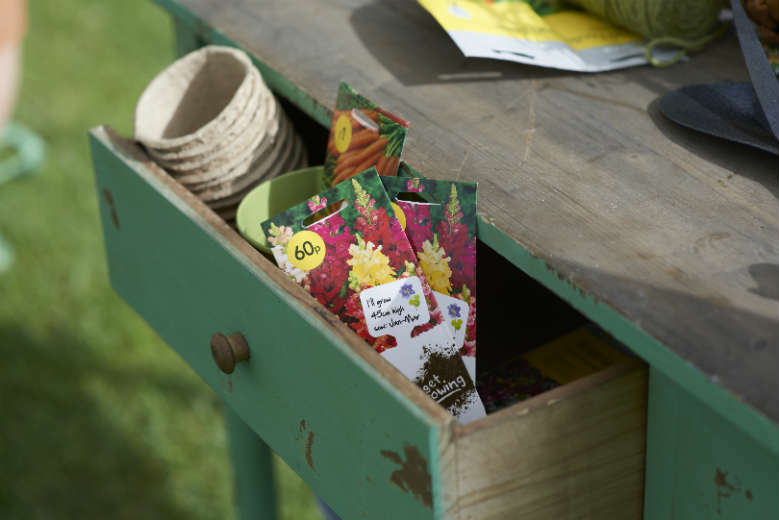 Fill your pots with seed sowing compost and moisten the top with water, leaving it to drain for a few minutes before sowing the seeds. Using a precision seed sower will help you sow seeds evenly and precisely and give them the best chance of flourishing. Make sure you leave at least 2cm of space between seeds. Sprinkle a covering layer of compost on the top (about three times the height of a seed) and press down lightly, making sure that all the seeds make contact with the soil. You can use either an electric propagator or a basic propagator cover to keep the soil moist and create a cosy greenhouse environment. Just make sure you keep it in a sunny place (like a windowsill) and remove the cover as soon as the seedlings emerge. Once your seedlings are well established, place an oscillating fan near them on a low setting and let it blow over them gently for 2 hours a day. The fresh airflow will toughen them up a bit and help them develop into stockier, more resilient plants. Keep an eye on them to make sure that they don’t dry out in the wind though! Give your sprouting plants a bit of tough love. Turn the tray every day and brush your hand gently over the leaves to help your seedlings grow strong stems. It’s a simple action that has big benefits (like flossing). Take the time to prepare your seedlings for the blustery big world out there. Start off their life outdoors in a safe, sunny location for around 3 hours a day. Over the next 7 to 10 day period, lengthen the amount of time until you can finally leave them out overnight. This way they will become more accustomed to daily temperature changes and less frequent watering. Visit us online at Wilko.com where you’ll find everything you need to grow your own.